Practical advice on choosing and using pneumatic valves can help individuals save time and money. 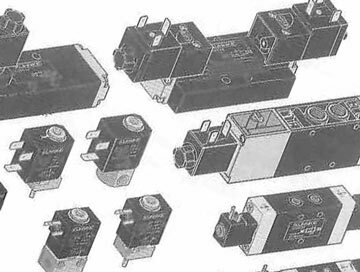 A directional-control air valve can be a vital building block for a pneumatic circuit. There are many different valves to choose from, which include various positions, port numbers, and flow paths. There also differences in how the devices are mounted, actuated, and controlled. Following guidelines set up by professionals in the industry, especially about specifying valve, will ensure higher performance and efficiency within given applications. Choosing parts without consideration will waste time and money. Flow to Actuator: establishing the total amount is rated regarding Cv (coefficient velocity). Cv is typically used when trying to compare flows of the different valve. As Cv increases so does the current. To best match a cylinder and valve, equations are used to calculate the required Cv for operation. Our team can help you make these calculations. Valve Options: there are several standard options for valves. Each style serves specific functions, and so it is best to speak with professionals to determine the best valve option for particular purposes. At Ellis Kuhnke, we specialize in pneumatic timers and pneumatic valves. We can answer all your questions to ensure your pneumatic systems are running optimally.